FirmGreen’s technology is reliable even in remote areas and simple to maintain, which makes it suitable for us to take into small villages in the developing countries where we work, such as Vietnam and Haiti. Using their strong background in environmentally responsible production of renewable energy, their technology has been designed to effectively combine wastewater treatment with onsite energy generation to power the water treatment facility. This enables small projects to be self-sustaining. 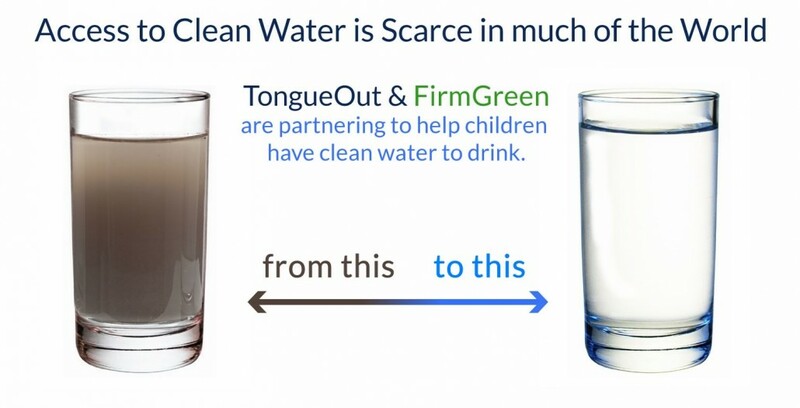 So, TongueOut has formed a partnership to deliver FirmGreen’s clean water technology to rural third-world areas where we already have relationships — local outreach to communities living in poverty. Our goal is to improve the lives of the neediest, and access to clean, safe water is vital to health and hope for the future. We’re pleased to be able to add clean, safe water to the list of tangible help we can offer! Get involved and make a difference! Take the first step by contacting us.